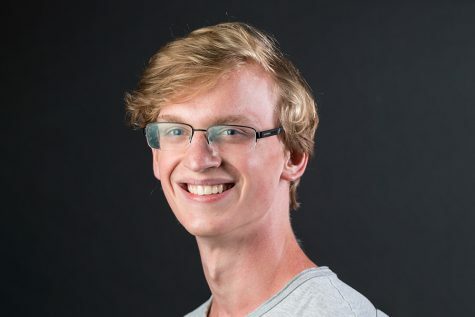 RMU-TV was honored during the November Moon Township Board of Supervisors Meeting for winning a Student Production Award at the Mid-Atlantic Emmys. RMU-TV won the award for “Colonial Sports Network: RMU Men’s Basketball vs Bryant” in the Sports-Live Event category. RMU-TV congratulated by Moon Township Board of Directors on Wednesday, Nov. 1, 2017. 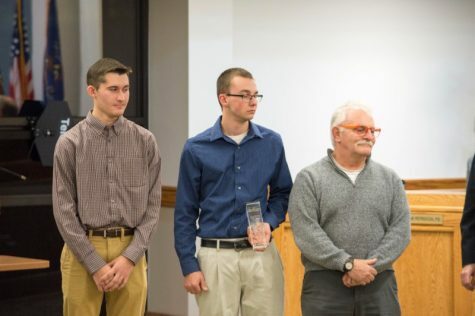 The Moon Township Board of Supervisors congratulated student producers, Dylan Mckenna and Dakota Lamb, at the beginning of the meeting. 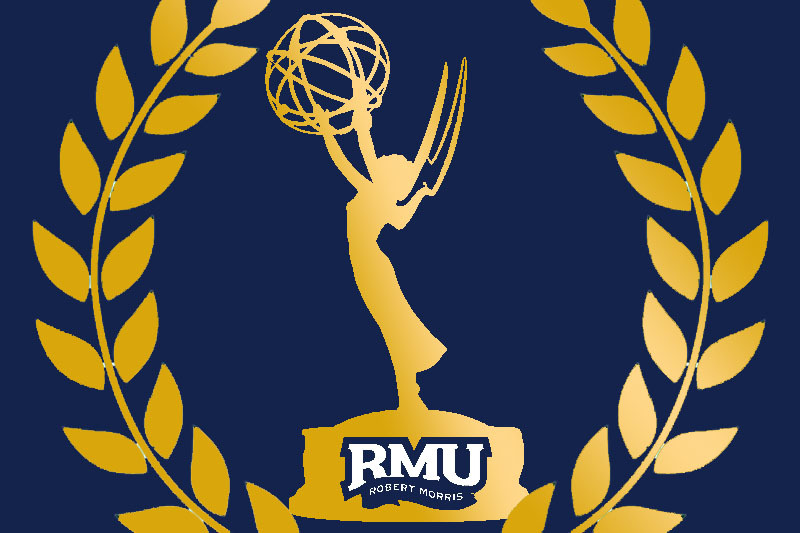 RMU-TV was nominated for three other student production awards in the Sports-Live Event and Public Affair/Community Service categories. 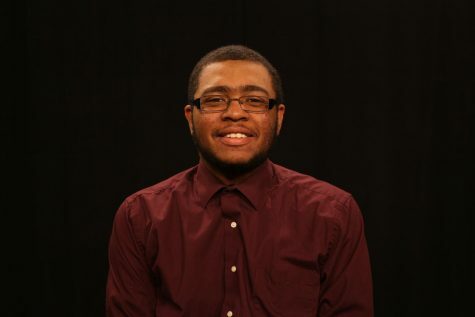 RMU-TV won one of the four awards that they were nominated for.